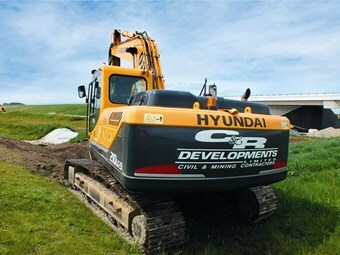 We came across a mint Hyundai tracked excavator doing the hard yards in the Waikato. The pristine paint on this R210LC-9 is all the more remarkable when you consider it has over 7500 hours on the clock and still going strong. Cambridge firm C&R Construction Ltd has owned this machine for the past four years. 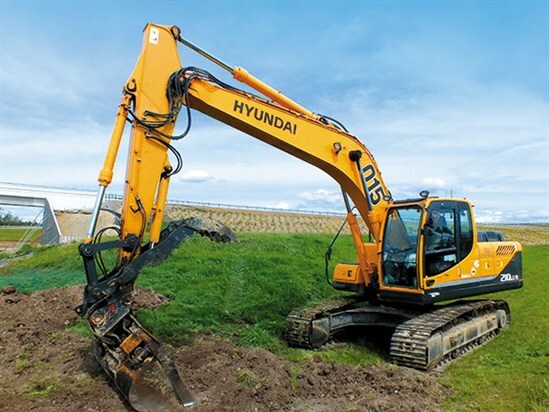 If I needed an accurate illustration of just how busy many contractors in the Waikato currently are, trying to find a particularly hard-working Hyundai R210LC-9 excavator owned by Cambridge-based C&R Construction Limited proved harder than I'd expected. Initially I was told the machine was busy clearing bush up the back of Perry Aggregates' quarry at Horotiu. Turns out I was about three hours too late by the time I got there though, with quarry manager Allan McDonald informing me it had left on a low-loader that morning, heading for the Ngaruawahia Bypass site, part of the busy Waikato Expressway project. No matter, a 10-minute hop across the other side of the Waikato River to the Lake Road Interchange saw me finally catch up with long-time C&R operator Brownie ("My name's Phillip McLeod, but no one will know who you mean if you put that in your story," he laughs) and his R210LC-9 tracked excavator. Between man and machine I can instantly see why this particular duo is in hot demand. For a start, despite the 7653 hours on the clock, the Hyundai is pristine. Brownie says there's never been a pair of boots worn in the cab and he personally polishes it with diesel — every surface except the dipper arm — at the end of each week. "It's pretty simple in my mind," he tells me. "I've been given it to drive so I look after it. It's just good manners and common sense really. It had 20 minutes on the clock when I got it, so I've had it its entire working life. You won't find any scratches on this one." Brownie reckons the R210LC-9 has been a dependable machine from the get-go, with a comfortable cab and robust mechanicals and hydraulics. "It allows me to just get on with the job as there are no real issues that crop up. Even now that it's out of warranty it remains a pretty bullet-proof machine, which is great because — as you can see — I'm constantly on the go between this site and others." With an operating weight of 22 tonnes, the R210LC-9 sits at the more compact end of Hyundai's extensive crawler excavator range, which extends up through popular models like the R290LC-9 (29 tonnes) and R430LC-9 (46 tonnes) to the top of the pile, the huge R1200-9 with its 118-tonne operating weight and bucket boasting a 6.7m3 heaped load capacity. In all, Hyundai's 9 Series features 16 different models for a variety of uses. Back at the other end of the scale, the R210LC-9 takes its place in the line-up as a mid-sized all-rounder. Owners C&R Construction Limited — a family-owned business with a long history running a variety of larger gear on differing sites, including the sizeable St. Kilda lifestyle development on the outskirts of Cambridge, Holcim's Bombay Quarry and a sand quarry at Titoki among other locations — utilises the 9 Series in areas where workable space is at a premium. "It's good for clearing land up at the quarry," says Brownie. 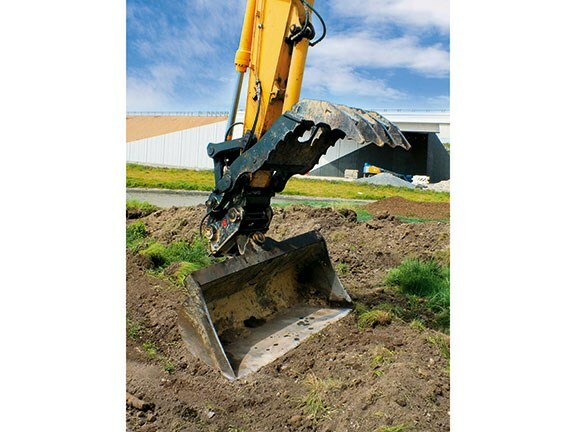 "It can get right up into the sorts of places that bigger machines would have trouble in. But then I can come over here [to the Ngaruawahia Bypass] and work on drainage projects out in the open and the machine will still hold its own." Powered by a water-cooled six-cylinder Cummins turbo diesel, the R210LC-9 pushes out maximum power of 151hp (113kW) at 1900rpm and boasts a decent 624Nm of torque, again available from a useably low point in the rev range. 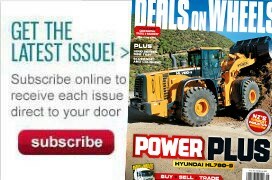 What's more, Brownie's Hyundai features the advanced CAPO (computer aided power optimisation) hydraulic system, which tunes engine and pump power to optimum levels to deal with various workloads, meaning the excavator's performance remains consistent and fuel consumption optimal, regardless of what it's being tasked with. The R210LC-9 features wide-opening access panels giving easy access to all the mechanicals, electrical and the air cleaner for quick servicing. Inside the cab, there's plenty of room, an ergonomic joystick controller and a good view through the operating zone, with the ideal peripheral visibility that a more compact machine gives. Local distributor Porter Group ensures all Series 9 machines have plenty of standard kit, regardless of where they fall in the range. For example, the R210LC-9 has hands-free phone capability and an auxiliary USB connection, as well as the full colour 7" LCD monitor, giving operators like Brownie all the vitals at a glance: power modes, work modes, machine diagnostics, temperature and fuel gauges and a nice crisp view out the back thanks to the rear-vision camera. Brownie tells me he has a couple more weeks at the Bypass and then will probably be heading back to the quarry. "I just go where I'm told, but it's all good. Ninety percent of my enjoyment in coming to work is having my own machine. I cruise along with this one and it's never given me any worries." 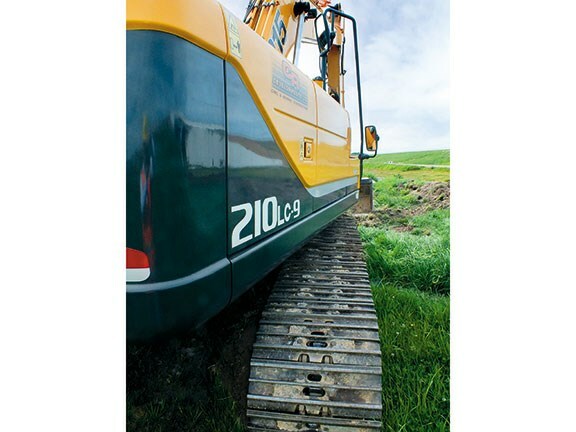 With the idea that a satisfied operator means a satisfied owner, it looks like C&R Construction Limited has certainly enjoyed piece of mind over the last four years with the R210LC-9 in its fleet.